Features include: 10" wide heavy duty 2 ply rubber belt with 2" deep rubber buckets on 24" centers and 2"steel side walls. 7/8" O.D. high strength steel tubing truss frame. 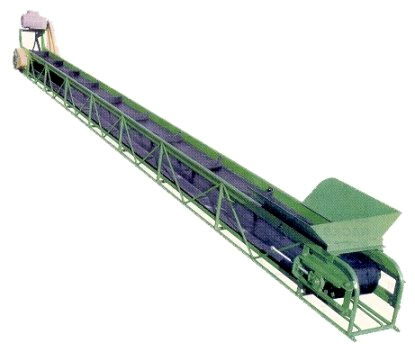 * Please call us with any questions about our conveyor21 foot x10 inch 263 for 2 days in South Chicago Heights IL and Highland IN.